Loam has been gaining a lot of momentum lately. It's so exciting for Nicole, me, and our staff (we're grateful to the moon and back for designer extraordinaire Giorgia Sage, health & wellness columnist Kimora Brock, spirituality guide Lily Myers, and poet-in-residence Mariana Rojas) to see this little seed of ours GROW. We envision Loam as an environmental arts organization that interweaves our magazine, artist/activist trainings, outdoor workshops, and a soon-to-be-launched podcast series to affirm hope and inspire activism. More and more, readers are writing in to share their stories with us. One woman told us that Loam had given her the tools to pursue sustainable agriculture. To hear from her that our little magazine had "changed her life" was amazing. Another shared that our magazine was the light-filled work she had been looking for in this world. These kinds of notes move us at Loam so deeply. We work tremendously hard doing what we do and it brings us joy to know that what we're radiating resonates with you. My hope is that our appreciation for beauty at Loam will never come at a cost to our diverse content. 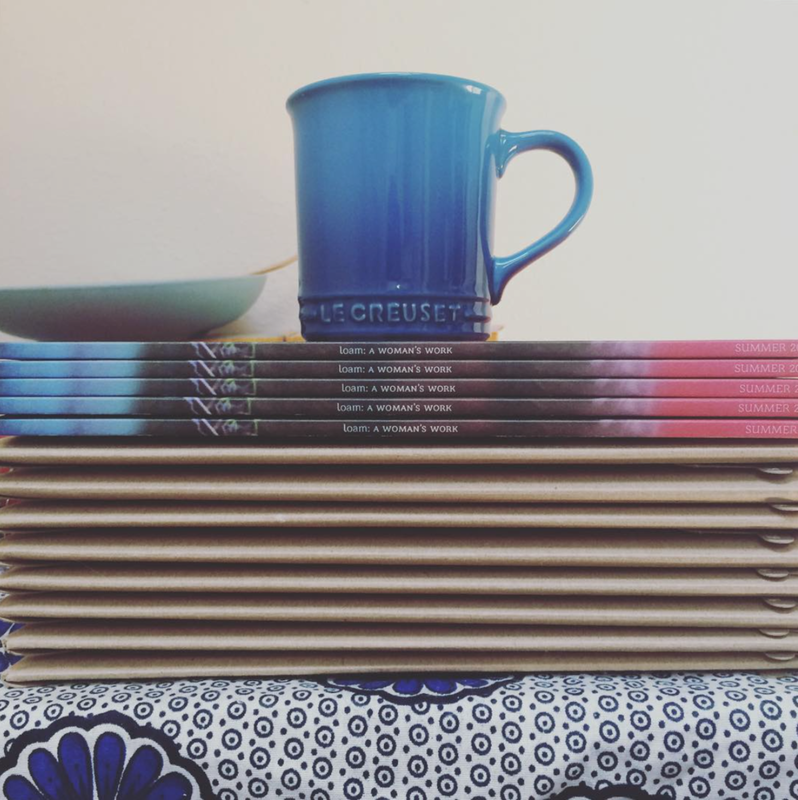 Our goal isn't to create a tightly edited magazine, preciously curated, clean to a tee. Loam is a little messy. We are perpetually navigating how to merge lighter fare with deeper reads and that shows. We talk about soil and the sun and self-care. Sometimes we get it right. Sometimes we miss the mark. Loam is pretty (to us!) and playful. Our attention to detail and desire for aesthetic harmony is integral to our vision. There is so much in this world that is decidedly not beautiful. Endless strip malls. Sprawling McMansions. Golf courses stripped of trees and pumped with pesticides. Supermarkets are loaded with unethically sourced and environmentally unsound goods designed to be disposed of later that day. We need to make room for more beauty in our lives, not only because it soothes our soul and satisfies our love of vibrant color, but also because it opens up the channels for more life-giving green to take root. When you think about making something or somewhere beautiful, you think about how to work with the environment and not against it. How can you create the space to nourish plants? How can you help beautiful moments—friends bursting into song at a backyard potluck, family gathering for a hike—to transpire within a place? I sometimes worry that my want for Loam to be beautiful is superficial. When I peel back the layers, I realize that Loam being (our version of) beautiful is a non-negotiable. Valuing beauty is our way of honoring ourselves, of valuing our communities, of celebrating this luscious world that we live in and that will live on without us. Just for pretty? Maybe. But if your definition of pretty is anywhere close to mine, I'll take it.